While most beginner electric guitarists focus on the actual guitar when purchasing equipment, the amp actually plays a far larger role in the overall sound. The best-made guitar in the world is not going to sound good through a cheap, poor quality amp. However, any decently made guitar can sound quite good when played through a good amp. So, a guitar amp should not be an afterthought purchase for a beginner. Shape your sound with the EQ section (Bass + Treble) as well as dial in lush effects such as digital reverbs, chorus, vibratone and delay. Jam along with your favorite tracks by simply plugging your MP3 player into the Auxiliary input and you instantly become part of the band and /or practice privately with the 1/8th headphone output jack that also mutes the speaker output. With a turn of a knob, choose from clean to mean tones from the 17 various amp models that will to accommodate almost any genre of music. 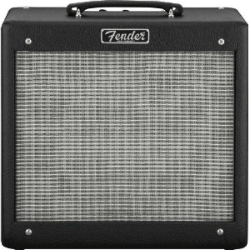 Enjoy the peace of mind that this amp is backed by Fender's 5 Year Transferable Warranty. 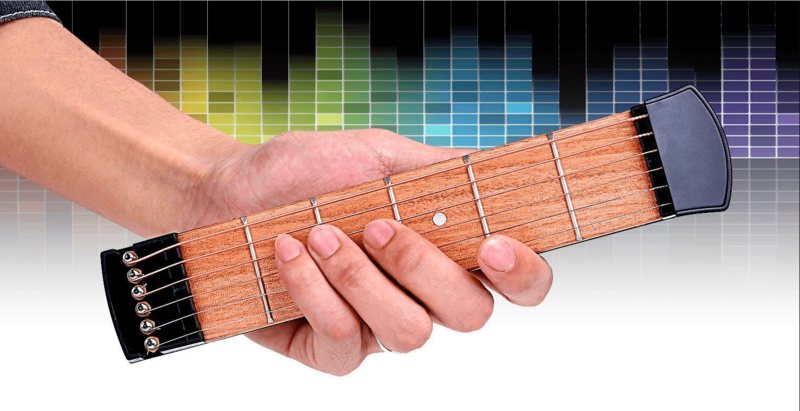 Shape the on-board amp models 'on the fly' or dig deep and edit them with your computer using the included Fender FUSE software to further alter the included effects such as reverb, delay/echo, tremolo, phaser and many more. Capture moments of inspiration and build songs using the included Ableton Live Lite 8 Fender Edition studio quality recording software compatible with either MAC or PC. While different guitarists might have different needs, good guitar amps for beginners generally offer a fairly consistent level of features and versatility for a fairly low price. Some companies take different approaches toward what beginners need, but most follow a fairly conventional design. The following five amps are good options to look into for a beginning guitarist. The actual order they are listed in does not actually reflect anything significant. 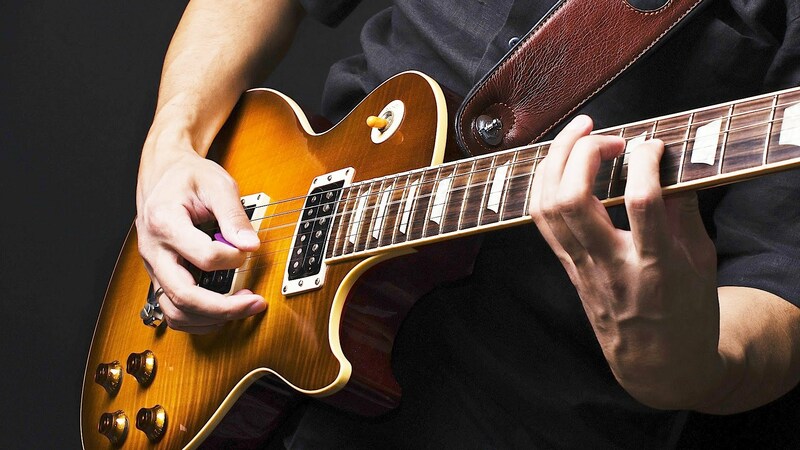 Each one offers something unique from the others, which can potentially allow it to be a better choice depending on the needs and budget of a particular guitarist. 1. Rocktron Velocity V10 The Rocktron Velocity V10 is a good example of what the standard beginner amp tends to look like. 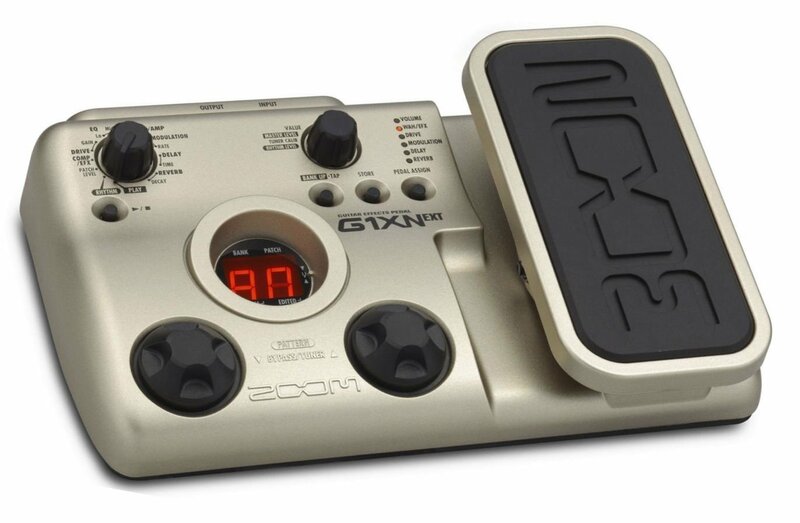 It has a simple control layout, a distortion option, and a headphone jack. All three are fairly standard features on most beginner amps. The Velocity V10 sounds decent enough to be useful for practicing and is easy to use. The main advantage of the Rocktron Velocity V10 is the low price tag. It is one of the better values for beginner guitar amps out there. There is nothing particularly amazing about the Velocity V10 in its own right, but it can potentially cost less than half as much as some other beginner level amps. 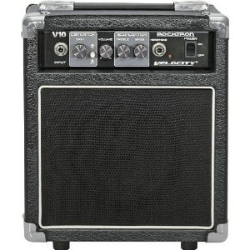 The Velocity V10 is capable enough to be a solid practice amp with a price that almost nothing of similar quality can match. It is a good budget option that delivers on all the actually necessary features. The Orange Crush PiX CR12L is another fairly standard style beginner amp. 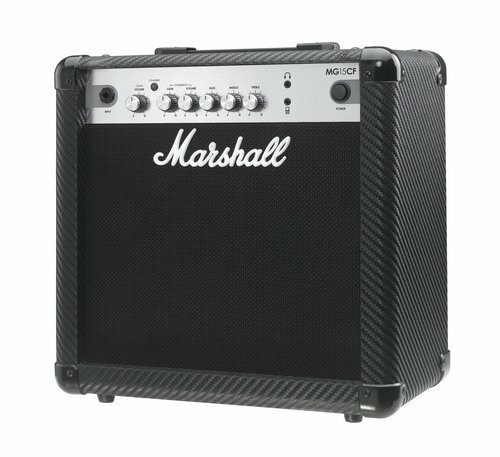 It has the same standard features as most beginner amps. The Crush PiX CR12L is a little more expensive than some similarly featured amps, like the Velocity V10, but it makes up for the extra cost with better build quality, better tone, and a well-designed control layout. The Crush PiX CR12L gives a lot of control over the tone but manages to do so in a clear, easily understood control panel. 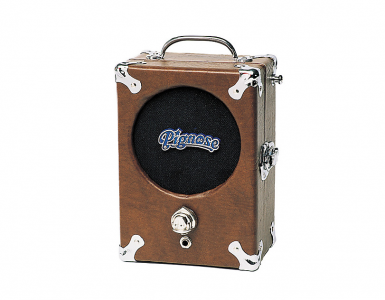 The Orange Crush PiX CR12L is still a relatively inexpensive option for a beginner amp. In terms of the basic features, it isn’t quite the best value on the market. 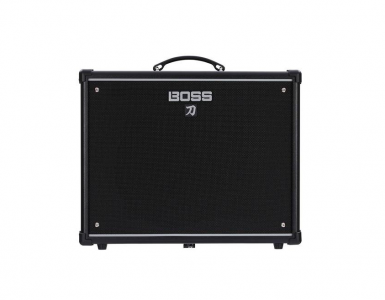 However, it delivers a better made, better designed beginner amp at a very reasonable price. 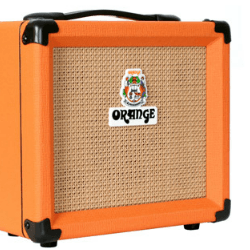 Beginners that can afford to spend a bit more, but want a standard beginner amp might find the extra cost worth it for the extra quality of the Orange Crush PiX CR12L. 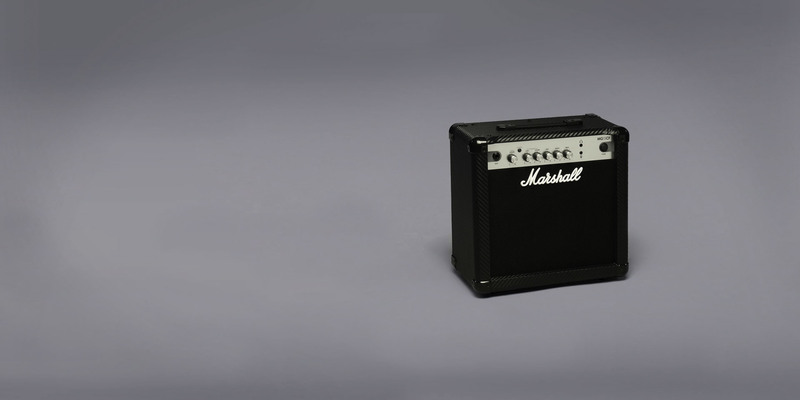 The idea of what actually constitutes a “beginner” amp has changed over the years. Before playing electric guitar became such a widespread hobby, most guitarists had at least some aspirations of becoming a professional at some point. 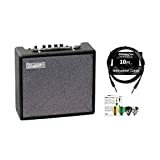 As a result, a good beginner amp needed to be capable enough for live performances and recording, in addition to practice. 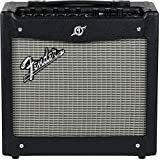 The Fender Hot Rod Pro Junior III is a good example of what the older style beginner amps used to entail. The initial price tag is much higher than the typical beginner amps popular today, but it is also a better made, better sounding tube amp. The Hot Rod Pro Junior III can be cheaper in the long run for guitarists that want to eventually do professional work. Most beginner amps are not powerful enough or sound good enough to quite cut it as a professional amp. The Hot Rod Pro Junior III is a simple amp that provides the bare essentials to get a professional level sound. Going the Hot Rod Pro Junior III route is a bit less conventional for beginners, but it is a solid option to consider if plans of recording or playing live lay in the future. The Blackheart Killer Ant is another slightly unconventional choice. Features wise, the Killer Ant does not have even the basics found on most beginner amps, yet it costs more money. The only controls on the Killer Ant are a power switch and a volume control. 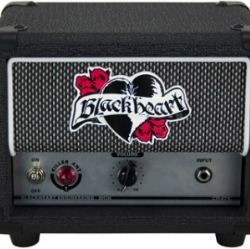 However, what sets the Blackheart Killer Ant apart is the fact it is a tube amp, rather than the cheaper solid state amps used for most beginner amps. The Blackheart Killer Ant is for beginners that want a better quality, overdriven guitar tone, but do not want to pay the prices that tube amps usually cost. Unlike the Hot Rod Pro Junior III, the Killer Ant is not loud enough for live performance, but it makes a solid practice amp. The Killer Ant is for beginners that want to start playing on an amp with a really good tone and are willing to pay a little more money for that. It’s a solid choice, even with the limited amount of built in features. The Line 6 Spider IV is the most fully featured beginner amps out there, yet is surprisingly inexpensive, only edging out the Orange Crush PiX CR12L a little bit on cost. The Line 6 Spider IV 15 offers four amp models, six built in effects, a built in tuner, a headphone jack, and a CD/MP3 player input. 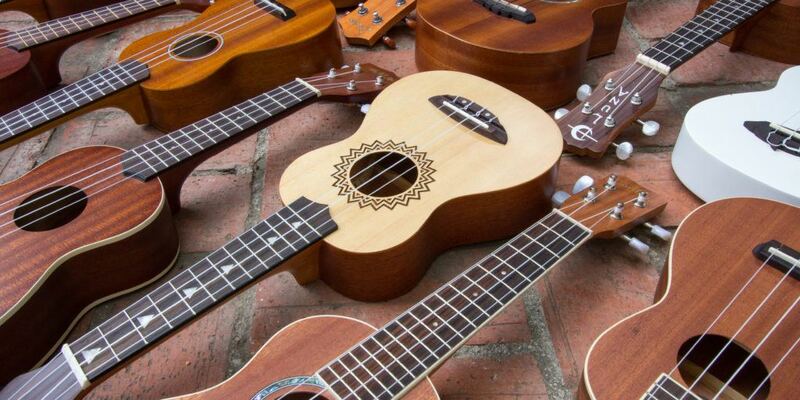 Everything a beginner needs to practice in one compact package. These features aren’t completely necessary for beginners to have, but they do serve as a nice convenience and the Spider IV does not cost that much more in the process to add them. On top of that, the Spider IV still manages to be straight forward and easy to use, despite all the built in options. 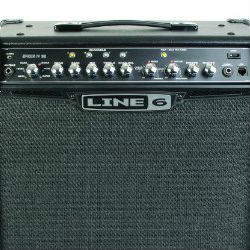 The Line 6 Spider IV is a good option for beginners not entirely sure what they are looking for. The amp models and effects allow it to achieve a wide variety of tones that are appropriate for almost any style of music. The Killer Ant and Hot Rod Pro Junior III do have better tones, but both are more expensive and less versatile. The Line 6 Spider IV is good for guitarists that want to be able to try a bunch of different sounds until they find something they like. It’s a very solid choice for any style of guitarist. Matthew is a regular contributor to GuitarChords 247. 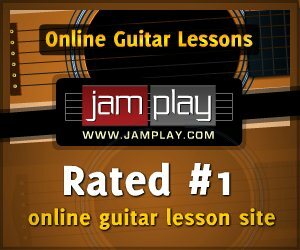 He covers reviews and ratings for your favorite guitar gear. As somewhere between a beginner and intermediate player, I bought a Fender 20-watter and I love the versatility it provides for my Ibanez RG. Wow. This was very helpful. 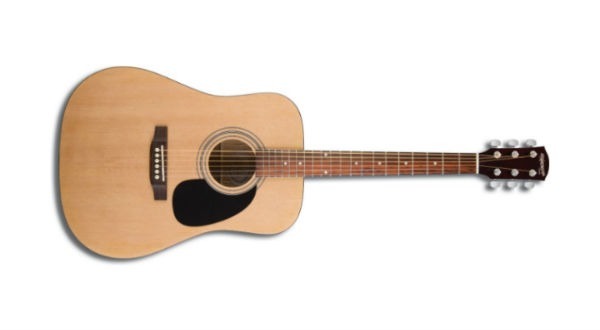 I’m buying my second guitar, and all the buying guides I found out there were for beginners. This was the only site that has been helpful to me.